Go Back to the Homepage/ Reduce workplace stress by increasing productivity. With endless distractions at our fingertips our productivity and efficiency in the workplace can suffer and stress levels can soar! While these websites can be a great way to take a quick mental break it can often result in you becoming lost in endless links to cat videos! A couple of ways to overcome this is to set up browser extensions that can block these sites or writing down in a notepad some of these links to be viewed at another time when your ‘to-do list’ has been completed. 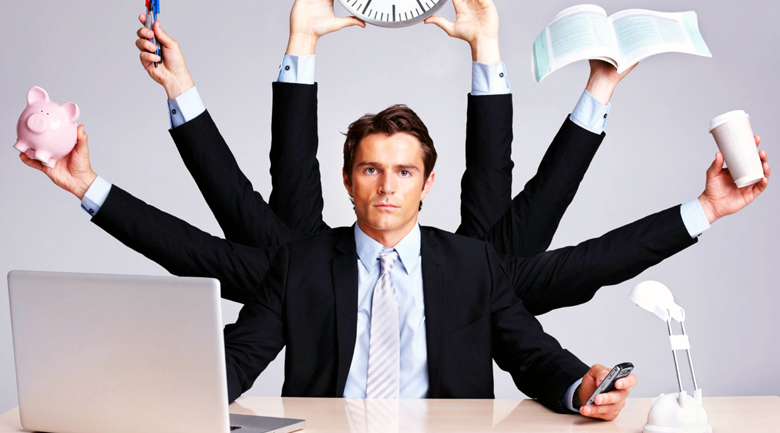 Multitasking can often be detrimental to productivity and can decrease our attention span. The most productive people dedicate their full attention to one task at a time and recognise that juggling a number of tasks at once leads to confusion and mistakes. Which leads me to the next point – we need to learn to prioritise more! Having to-do lists are great, but not when you start the day with a double digit to-do list. You are setting yourself up for failure. You need to prioritise your to-do list to tackle the most important tasks first and take on each task one by one. Study suggests that emails notifications can be a major road block to productivity and can easily deter the work in hand. Meetings should be kept for introductions and for serious discussions where a clear agenda has been put forward along with a predefined time allocation so keep you on track. Going to the gym for just 20 minutes a day can boost your metabolism and kick-start your energy levels! Eat healthy food throughout the day to help fuel your body and cut back on the sugary processed foods which give us insulin spikes and can lead to dreadful crashes and we can end up feeling more exhausted than before. All of the top CEO’s that we read about have one thing in common and that is that they wake up early! By doing so it allows you to start and organise your day in the right manner and take care of other non-work related tasks. Posted By: Keith O’Loughlin, Recruitment Consultant.